Ok so I don't claim that these are any sort of replacement for regular sinful brownies... they are however a great alternative and quite good for how healthy they are! - blend all ingredients VERY WELL TOGETHER! 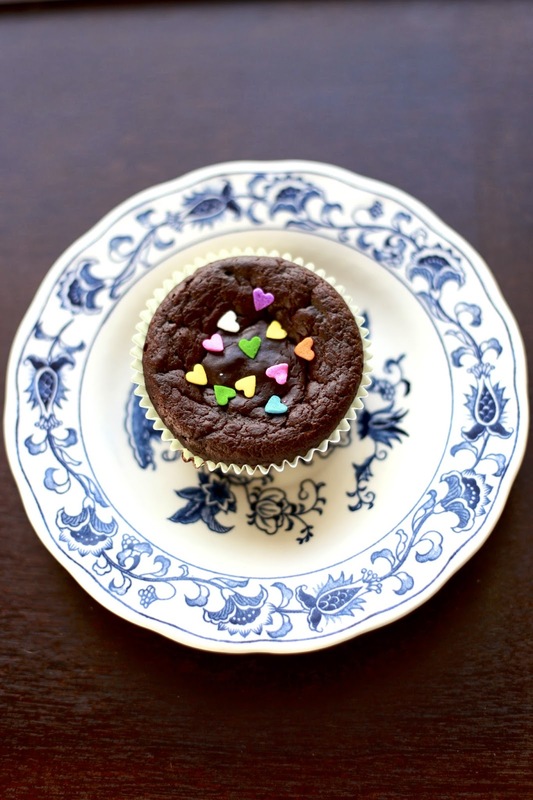 - pour batter into greased cupcake tin  OR pour into a square brownie pan!! - bake for 18 minutes if in cupcake tin or 20-25 if in square pan - let cool before removing - serves 6!